The Reading program provides ongoing, supplemental help in reading for students in Kindergarten to sixth Grade. Students become eligible for reading support based on classroom performance, teacher referral, and standardized test results. Children receive instruction in small groups during the week. Mr. Snyder&apos;s role as a reading specialist is to support the teachers both in and out of the classroom. The teachers and specialist conference on a regular basis to discuss needs for the upcoming week. This allows the program to be tailored to the individual student with integrated classroom lessons and resources. The reading specialist also provides enrichment classes to the primary grades, utilizing multiple learning styles: cooperative learning, teacher-guided lessons, and student-generated discussions. Students are entitled to learn and grow in an environment where they feel secure to make mistakes; yet, aspire and attain higher-level thinking. 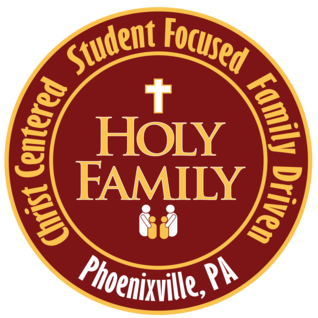 If you have any questions about this program, please contact me at asnyder@myholyfamilyschool.org.